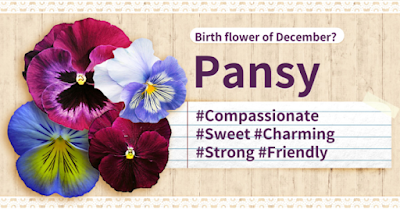 Enlighten Path: Your Personality Based On Your Birth Flower! You have big dreams! You are interested in various fields and love to learn. ·You are smart and always express your opinion in a clear, logical way. ·You have a kind heart and have deep thoughts. ·You are mostly calm and don't get nervous so much since you act by your plans. 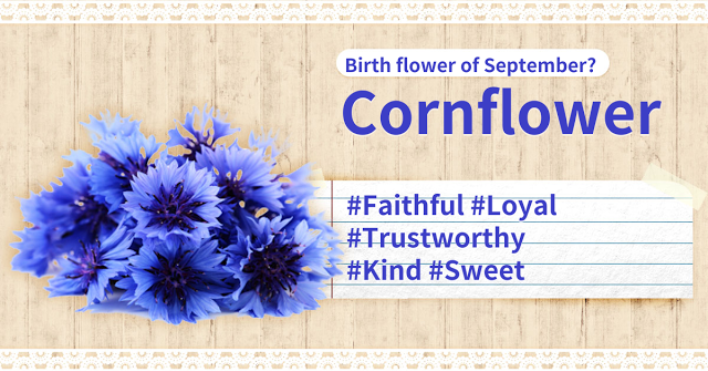 Your birth flower expresses your charm in these many ways! 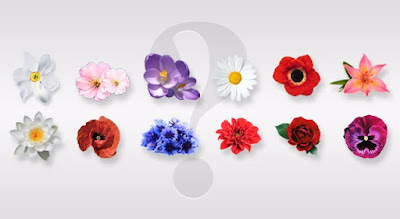 Share the result and recommend the test to your friends to enjoy it with them! 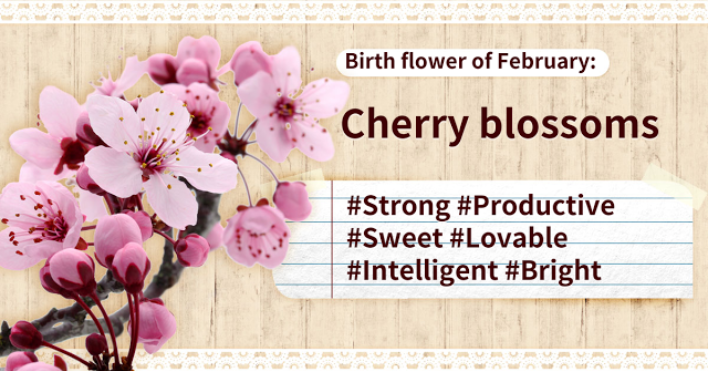 Born in February, your birth flower is 'Cherry blossom'! You have an indomitable will to accomplish your goals and you have a courageous person like an adventurer. 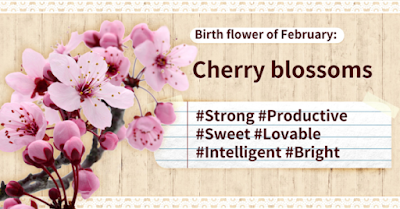 ·You are intelligent and have a lot of ideas. ·You like leisure time and have broad social relationships. ·You clearly declare your opinion and have the strength to defend it. 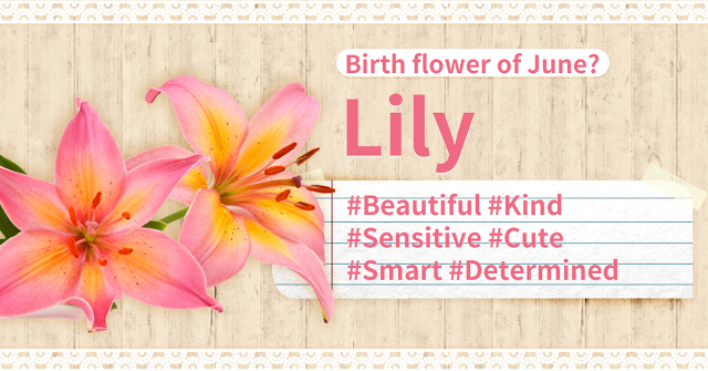 Your birth flower expresses your charm in these many ways! Share the result and recommend the test to your friends to enjoy with them! You are loved by everyone with your charming personality! ·You are a peaceful type who likes peace and silence. ·You return kindness with more kindness. ·You don't get angry easily but you have a strong will. Your birth flower expresses your charm in these many ways! Share the result and recommend the test to your friends to enjoy with them! You are an active style who is attracted by various challenges! 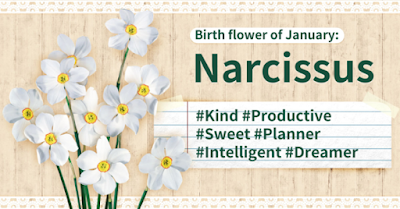 ·You have broad social relationships since you have a dynamic personality. 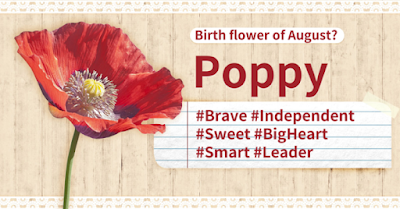 ·You are a leader type who is kind and communicates well with the group. ·You are a courageous type who challenges every situation. 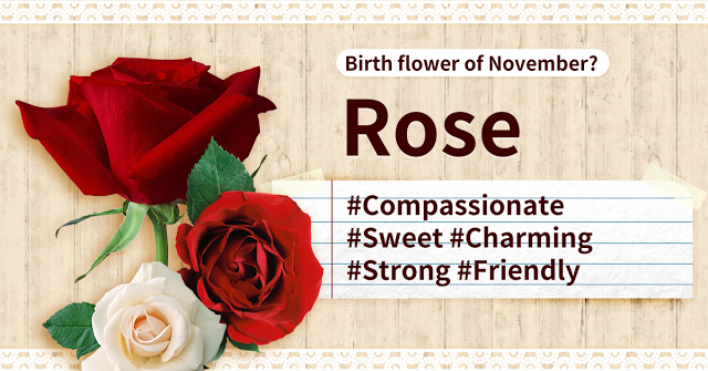 Your birth flower expresses your charm in these many ways! Share the result and recommend the test to your friends to enjoy with them! You have a solid person with a strong heart! ·You have a strong will that drives you to accomplish your goals. ·You have great imagination and creativity so you are interested in art and literature. ·You don't like being inside, you prefer the outdoors and being active. 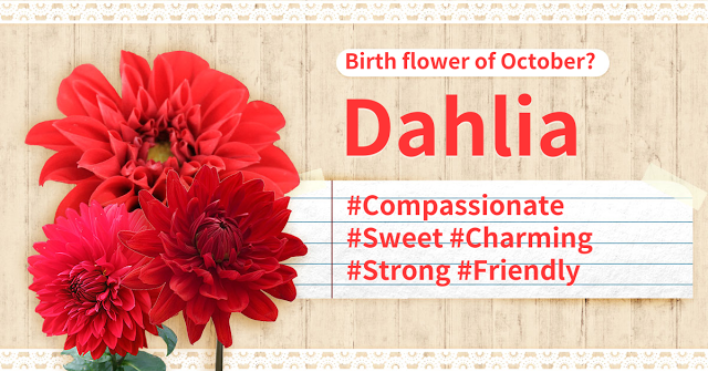 Your birth flower expresses your charm in these many ways! 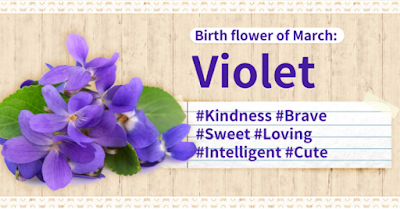 Share the result and recommend the test to your friends to enjoy with them! You are humorous and lively so you are very sociable! ·You have your own unique character. ·You have a strong self-esteem and so you are always confident. ·You know other's moods and you like to take care of them, making you kind and lovely. 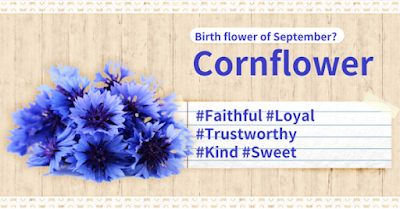 Your birth flower expresses your charm in these many ways! Share the result and recommend the test to your friends to enjoy with them! You are courageous and have no fear - you're a great leader! 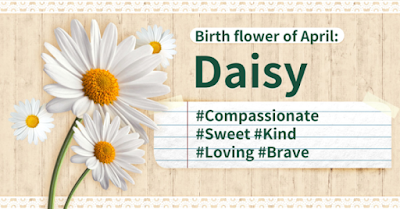 ·You are independent and have high self esteem. ·You are very creative and full of creative ideas, making you talented in artistic fields. ·You think fast so you are good at making people cooperate. Your birth flower expresses your charm in these many ways! Share the result and recommend the test to your friends to enjoy with them! You are faithful and loyal, and very trustworthy! ·You are great at public speaking. ·You have great memorizing ability. ·You put great value in social relationships. Your birth flower expresses your charm in these many ways! 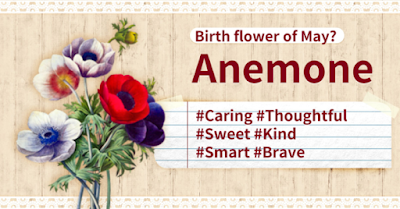 Share the result and recommend the test to your friends to enjoy with them! Your inner and outer side are both charming. ·You are sincere and don't like exaggerating about yourself. ·You are soft and nice but also strong. ·You like communicating with others and you are very sociable, so you can make friends anywhere. Your birth flower expresses your charm in these many ways! 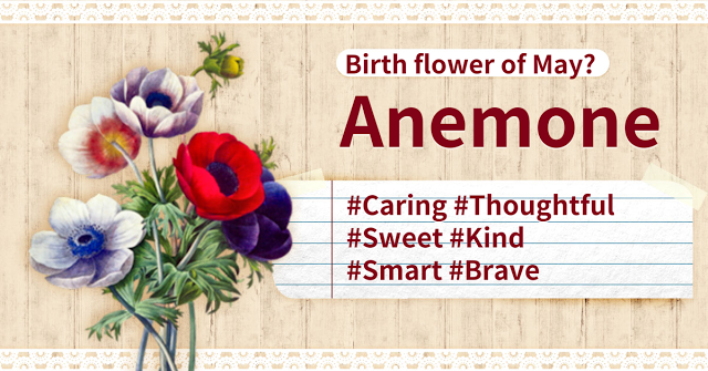 Share the result and recommend the test to your friends to enjoy with them! You have an active and energetic personality, liking social activities! 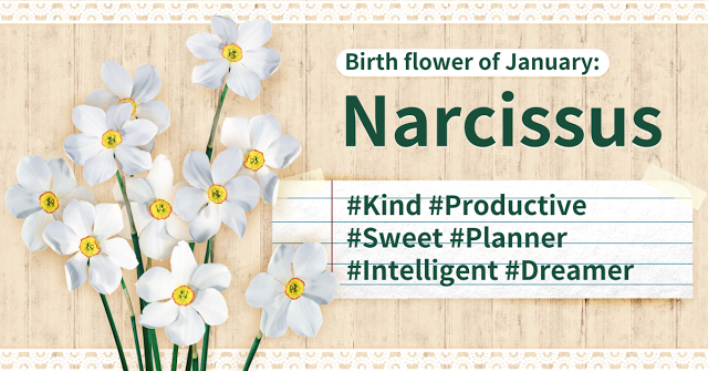 ·You are humorous and you love joking making you a famous mood maker. ·You have desires in your mind, progressing slowly, waiting for one big success. ·You are loyal and once you open up your mind you take care of people passionately.Also, you have a tendency of respecting your people very much. 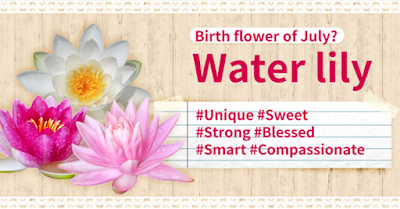 Your birth flower expresses your charm with this kind of meaning! Share the result and recommend the test to your friends to enjoy with them!